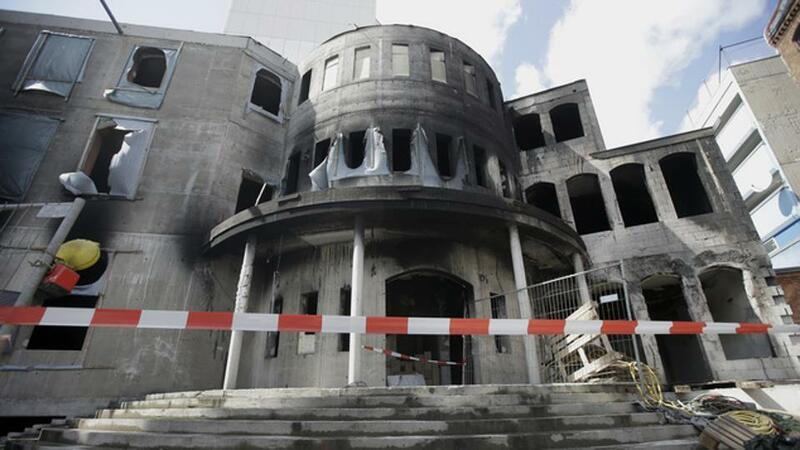 BERLIN: German security agencies are on alert for signs of violence against Turkish facilities in Berlin, Stuttgart and other cities, the Interior Ministry said, after fires damaged several Turkish-run mosques over the weekend. Firefighters battled for over 90 minutes to extinguish a blaze at the Koca Sinan mosque in Berlin early on Sunday. It was the latest in a series of incidents police say may be linked to demonstrations by hundreds of people against Turkey’s military operation in the northern Syrian region of Afrin aimed at sweeping the Syrian Kurdish YPG militia from the Turkish border. “The events in the region can stoke passions among Kurds living here in Germany,” a ministry spokeswoman said, noting that conflicts between Turks and Kurds were also playing out in Germany, which is home to about 3 million people with ties to Turkey, including many ethnic Kurds. The ministry appealed to demonstrators to avoid violence and said protesters needed to abide by German laws. “The security agencies are constantly exchanging information with regard to current events,” she added. German politicians and interest groups, including the Kurdish community, on Monday strongly condemned the attacks and messages on social media calling for further violence. “Whoever is behind these attacks and calls for violence, whether it circles close to the PKK (Kurdistan Workers Party insurgents in Turkey) or the Turkish intelligence agency MIT, nothing justifies this form of inhumane violence,” Ali Ertan Toprak, head of the Kurdish community, said in a statement. Toprak urged Kurds living in Germany to use democratic means to express their views about the Turkish offensive in Afrin. Several people were injured in demonstrations over the weekend in Duesseldorf, with additional protests reported in Hamburg, Kiel, Saarbruecken and Kaiserslautern, according to German media reports. Suleyman Kucuk, deputy state leader of the Turkish DITIB organisation in Berlin, said the mosque in the neighbourhood of Reinickendorf was heavily damaged in Sunday’s blaze. “The whole house of worship has to be renovated and rebuilt,” he told Reuters TV. Police spokeswoman Valeska Jakubowski said police were investigating what she described as a serious case of arson. Investigators say the attack was likely politically motivated. The PKK has been banned in Germany since 1993, but it remains active, with nearly 14,000 followers among the country’s Kurdish immigrant population. Turkey has repeatedly criticised Germany for not taking a more assertive stance against the PKK.